A strong economy characterized by accelerated corporate earnings growth as well as robust consumer and business confidence led to record highs for the S&P 500, Dow Jones Industrial Average, and NASDAQ during the quarter. This was in spite of significant political acrimony over the confirmation of Judge Kavanaugh for the Supreme Court seat vacated by Justice Kennedy, as well as the approaching mid-term elections. The continued headlines regarding Special Counsel Robert Mueller’s investigation into Russian interference with the 2016 Presidential Election also continued to weigh on Washington as well as the general population. 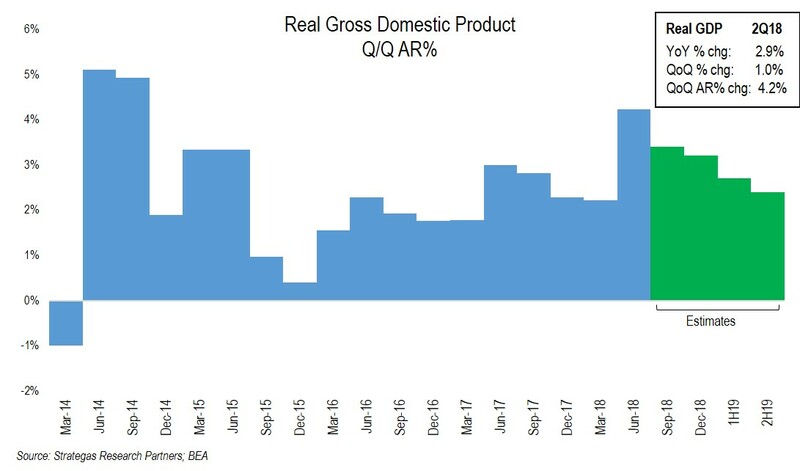 Meanwhile, the gross domestic product for the U.S. grew at an accelerating rate of 4.2% for the second quarter (see chart below) reflecting in part the fiscal growth initiatives recently enacted in the Tax Cuts and Jobs Act of 2017, as well as the current Administration’s efforts to eliminate certain regulations it viewed as hindering business growth. 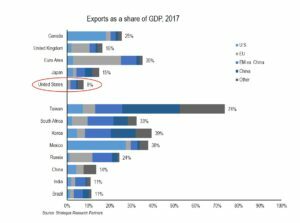 Despite this significant economic growth, fears of the growing trade war with China and to a lesser extent with Mexico, Canada and Europe, were also headline grabbing. It remains to be seen the extent to which these escalating trade skirmishes (or wars) will impact our economy. (The Administration has now been successful in renegotiating trade agreements with both Mexico and Canada.) The next chart shows the relative importance of exports for the U.S. and our trading partners. 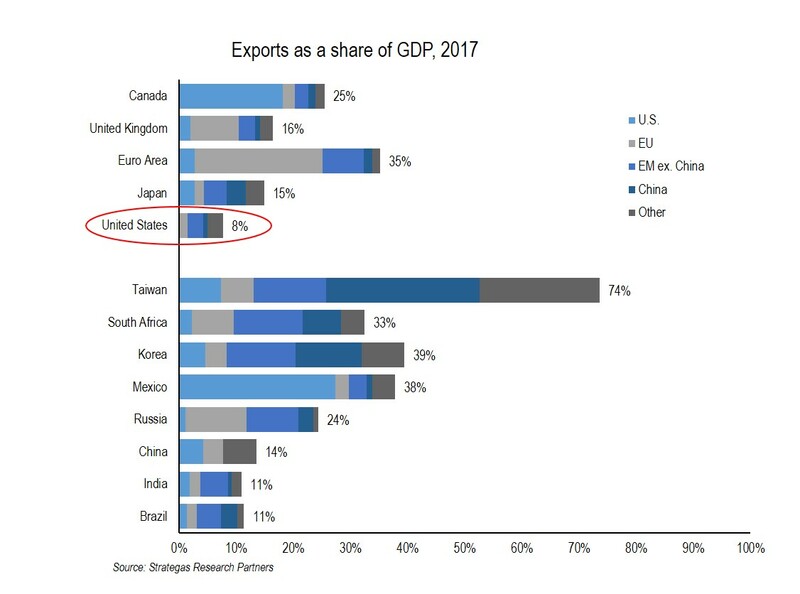 It suggests that the U.S. has the least to be concerned with as compared to our trading partners as foreign exports represent only 8% of our GDP. However, an all out trade war, in our opinion, could possibly crimp GDP growth. In addition, new and increased tariffs put on imports by the U.S. could also result in somewhat higher domestic inflation. 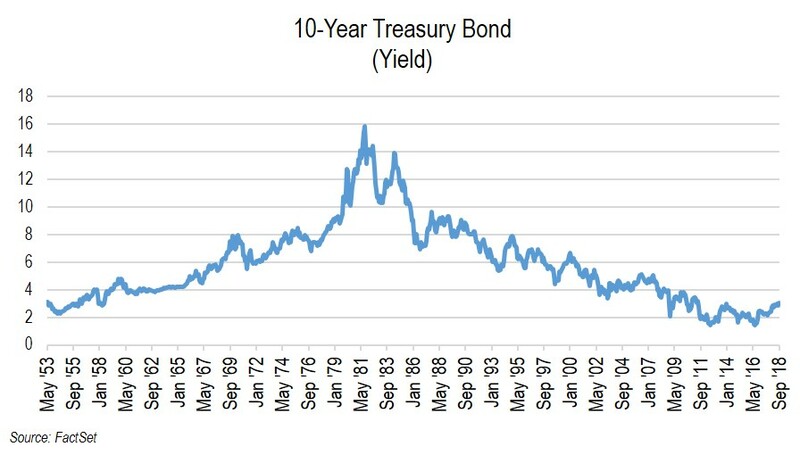 Additionally, investors should not be fearful that the stock market cannot continue to prosper when interest rates are rising. The chart below suggests just the opposite. From an equity market standpoint, despite the concerns of some about valuation, U.S. equity indices continue to appreciate. So far this year, growth-oriented shares continue to outpace value-oriented shares by a wide margin. Our clients have benefitted so far this year from such outperformance as we have maintained our bias to growth shares. 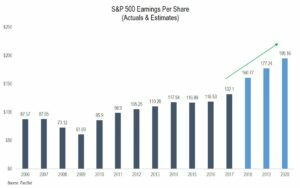 Our view is based on the actual and multi-year projected earnings growth of growth companies. This remained the case in the third quarter although our Dividend Growth strategy (which is more value-oriented) had an outsized gain of 9.5% net during the quarter, as it played catch up from earlier lackluster results this year. In fact, all of our equity strategies, both defensive and traditional, appreciated for the quarter and are performing well year-to-date. Furthermore, domestic equity markets continue to dramatically outpace foreign markets (as seen when you compare the blue lines to the green lines in the chart below). Many pundits continue to argue the valuation case for foreign equities, particularly emerging markets. However, we have continued to underweight foreign equities for years now and this has proven to be beneficial for our clients. At some point this may change, but for now we continue to favor domestic equities based on the strength of the U.S. economy and the pro-growth fiscal policies recently put in place. So where does this all leave us as investors? Without question, there are strong economic fundamentals reflected in GDP growth, a very low level of unemployment, increased capital spending by business, consumer and business optimism, reasonable inflation, and continued below average interest rates. 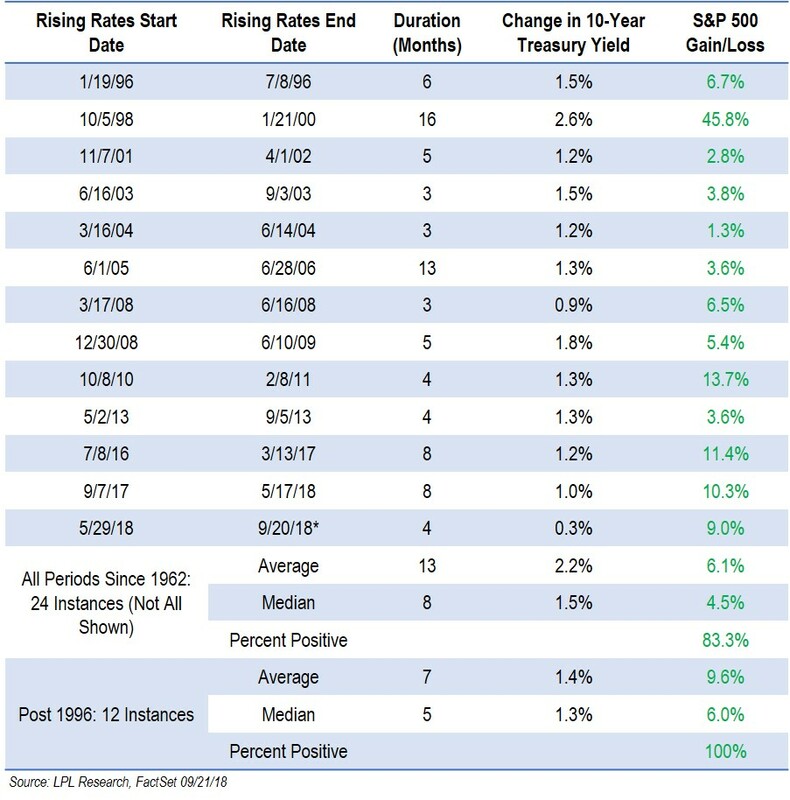 However, the following weigh on investors: the ongoing investigations, trade issues, the age of this bull market, and concerns about rising interest rates as well as equity valuations. These represent the “wall of worry.” Let us not forget the upcoming mid-term elections, which could possibly see the House and Senate flip to the Democrats while the President is a Republican. This is a formula for potentially even greater gridlock. The above could result in some increased volatility, however, we continue to believe that the policies that have led to our economic strength will continue for a while at least and push off a potential recession into 2020 at the earliest. Corporate earnings are projected to increase next year and we believe that corporate spending will also continue to increase given the increased after-tax earnings from the new tax law as well as continued repatriation of offshore cash from that same law. We expect a tug of war between these two sides with economic optimism built upon earnings growth, low unemployment, wage growth, and business and consumer optimism versus the wall of worry outlined above. Accordingly, we continue to underweight fixed income, overweight our defensive strategies (where robust dividend growth and above average earnings growth have led to strong gains for our clients), and modestly underweight traditional equities. We will also look for opportunistic real-estate-type investments as we still believe that space will benefit from the improved economic activity. This somewhat defensive posture might result in us leaving some gains on the table but should insulate us from the worries that seem to be piling up. 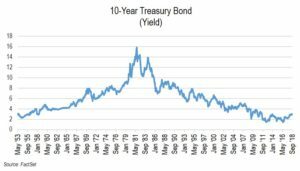 It should be noted that one is able to now get a bit over 2% (pre-tax) from rolling over short term U.S. Treasury Bills which we do for many clients. This is an improvement from where we were a year ago when short-term rates were even lower. Risk seems to be growing with the “wall of worry.” Accordingly, we as investors must always carefully measure the gains we are achieving, and evaluate those gains based on the risks we are taking. 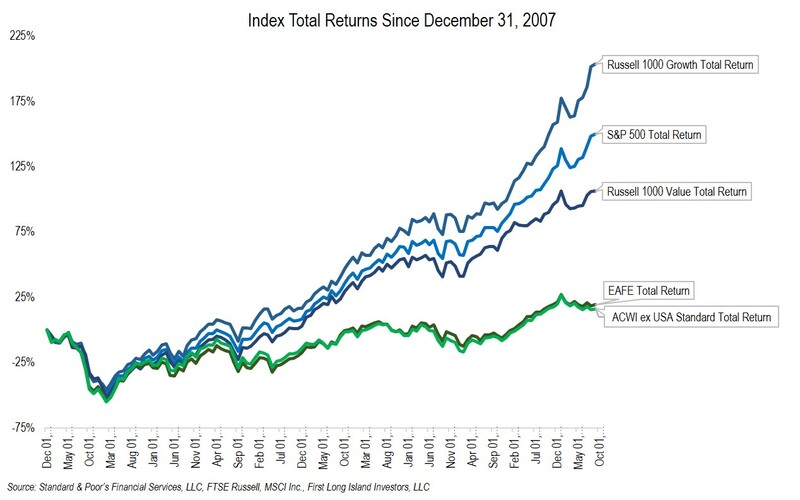 At FLI we do not use leverage in any of our fixed-income or equity strategies. Our quality bias and annual growth in dividends (13.3% so far in 2018) in our Dividend Growth strategy makes it stand out from other similar strategies. The below average beta (measure of risk) in some of our strategies means they should be less prone to swings from volatility. In other words, we believe that we have taken less risk for our clients (and for ourselves, as we invest side-by-side) to generate the positive results in our strategies and for that we are very proud. The third quarter and year-to-date have had greater volatility as compared to last year (do not forget the 10% drop this past February), but thus far we continue to make gains this year in our defensive and traditional equity strategies. 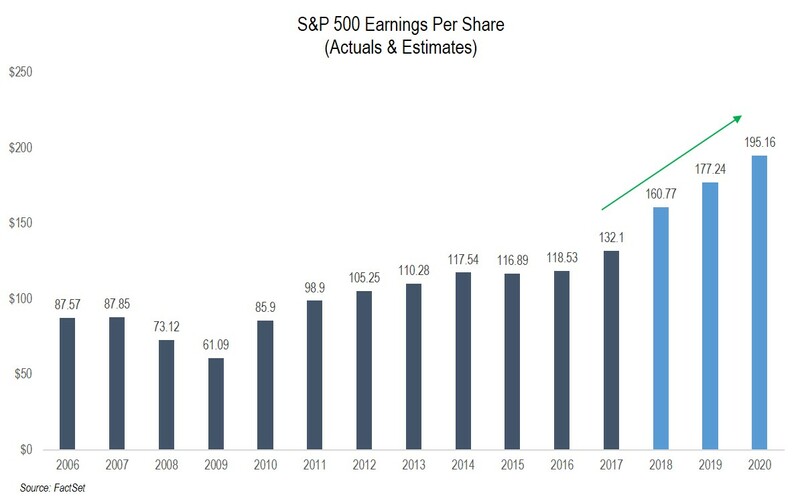 We would expect this to continue in the fourth quarter if earnings continue to grow as expected and the Fed raises short-term interest rates in December, as expected. This could at some point in the future cool down equity markets, but we still feel it is too early for that. 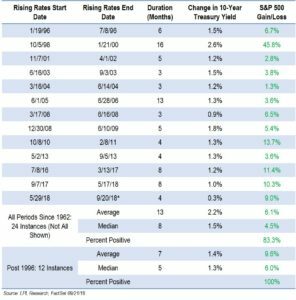 Additionally, real-estate valuations in many markets have yet to be significantly impacted by the somewhat higher interest rates. We recommend staying the course as investors with a diversified asset allocation tilted to our defensive strategies given potential volatility in the months to come as well as the potential that earnings growth will moderate in 2019. Please call us with any questions you might have regarding your asset allocation or wealth management matters. On Tuesday, October 30th we will be hosting our next Thought Leadership Breakfast with Lawrence Levy, Executive Dean, National Center for Suburban Studies at Hofstra University. We hope you can join us. For those of you who could not join us for our inaugural Family Wealth Roundtable, we will be posting aspects of it on our website in the very near future. The views expressed are the views of Robert D. Rosenthal through the period ending October 18, 2018, and are subject to change at any time based on market and other conditions. This is not an offer or solicitation for the purchase or sale of any security and should not be construed as such.